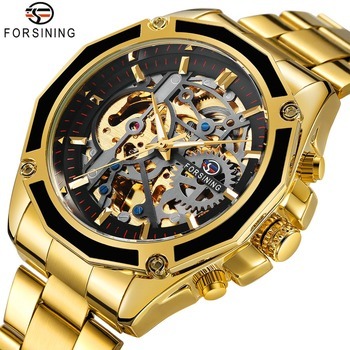 The Forsining mechanical hand wind mens luxury brand watch. 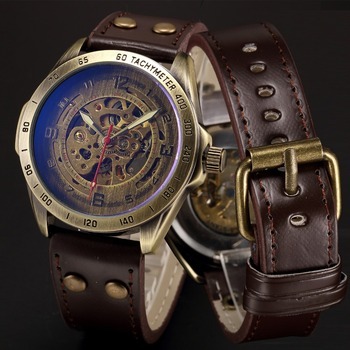 It has a Skeleton style design that features a 3D logo design. 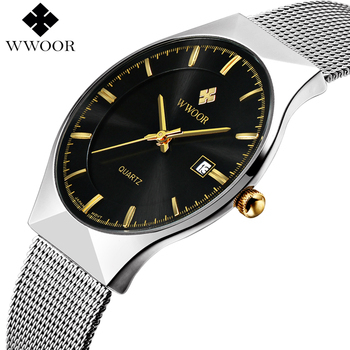 The face is a hollow engraved and enclosed in a black and gold case. 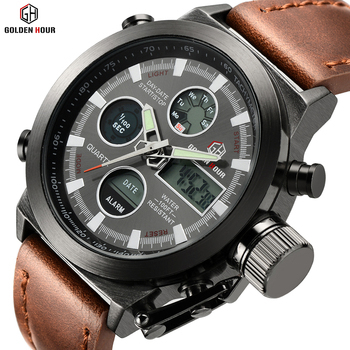 The leather strap completes this unique and stylish watch.